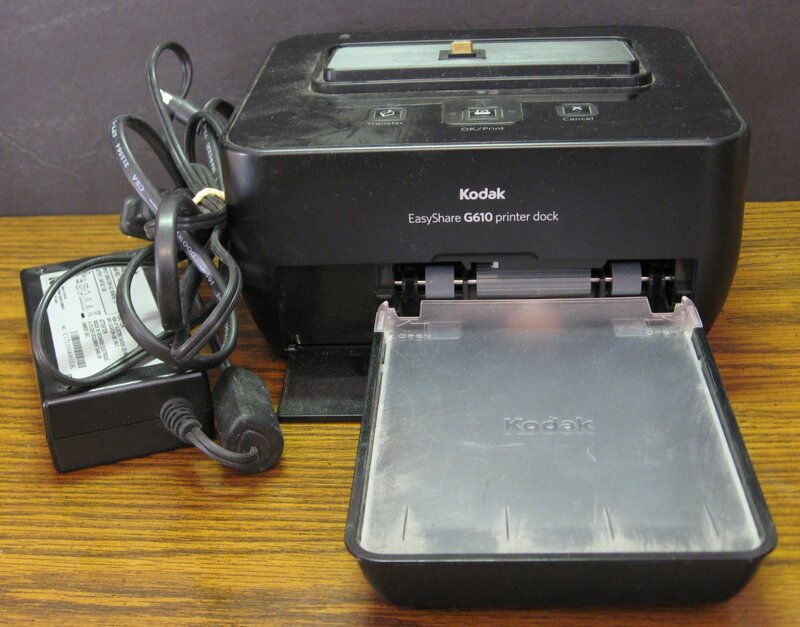 This is a black Kodak EasyShare Printer Dock model G610. It comes as shown, with its paper tray and power supply. No ink cartridge, paper, cables, camera inserts, or anything else is included. Since I am unable to seemingly find any drivers for this, I have to treat this as untested, and assumed as for parts; and thus no returns or refunds.